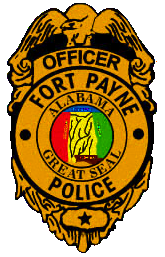 The employees of the Fort Payne Police Department are proudly dedicated to the values of integrity, professional service, and respect. The employees of the Fort Payne Police Department will uphold the public trust by being honest, truthful, and consistent in our beliefs and actions. We will display high moral and ethical standards and act as role models within our community, always holding ourselves to a higher standard of conduct, as the public expects from those who pledge to serve the public by enforcing the law, investigating crime, and preserving the peace as a part of the criminal justice system. We will always hold ourselves accountable to the principal of equality and fairness. We will provide high quality service through a partnership with the community and a commitment to excellence. We will constantly strive to solve problems and be responsible to community needs and concerns through cooperation. We will hold ourselves accountable to the citizens of Fort Payne, recognizing service to others as our highest honor and will never compromise our values or mission for the sake of expediency or personal preference. We will respect and protect the constitutional rights of all citizens efficiently and effectively while treating them fairly and equitably with courtesy, compassion, dignity, and respect. These efforts shall be achieved through careful selection of employees, continual training and education, interaction with the community, as well as by establishing crime and service related priorities met with challenging, innovative, and realistic strategies. 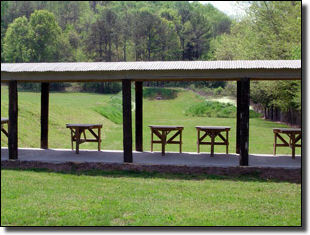 The firing range is open to the public every other Saturday from 7am until 1pm, weather permitting, and excluding holidays. 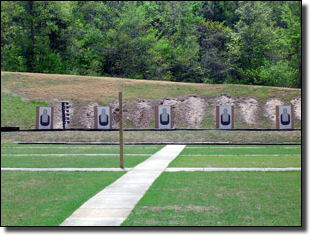 The range features a 50 yard handgun range and a 175 yard rifle range with room for multiple shooters and targets. Call for details at (256) 845-1414.